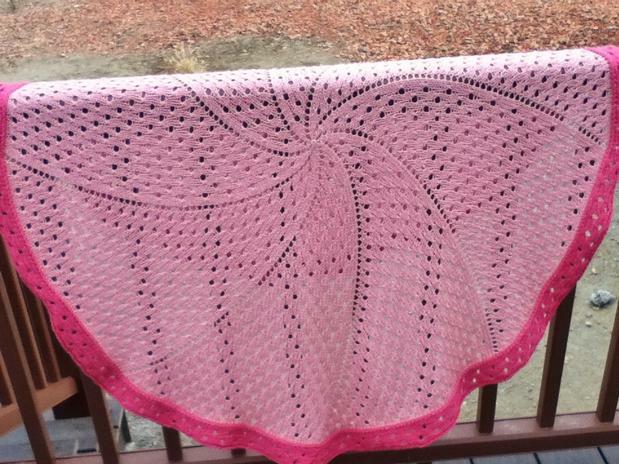 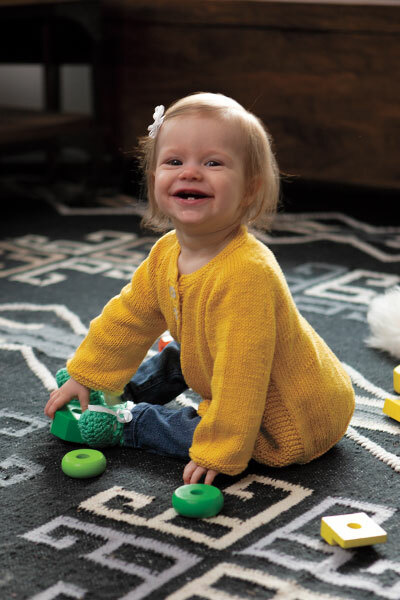 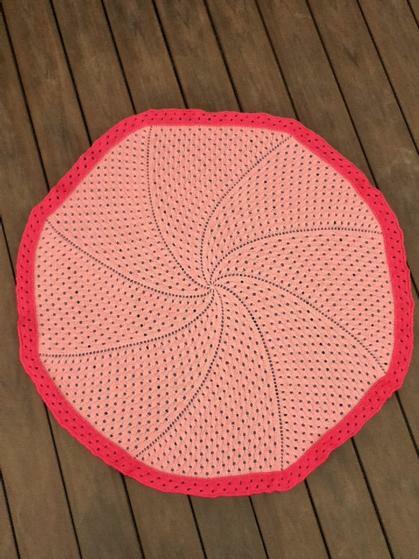 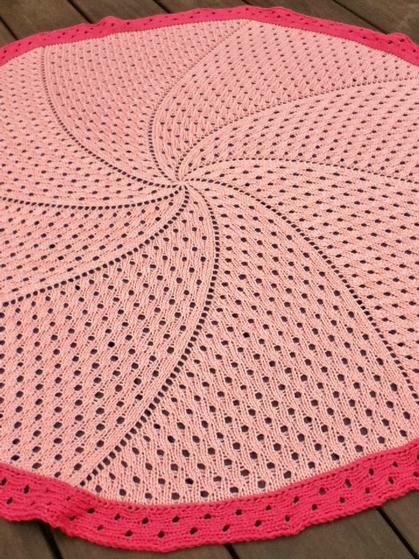 This baby blanket is knit in-the-round from the center out, and finished off with a sideways knitted-on edging. 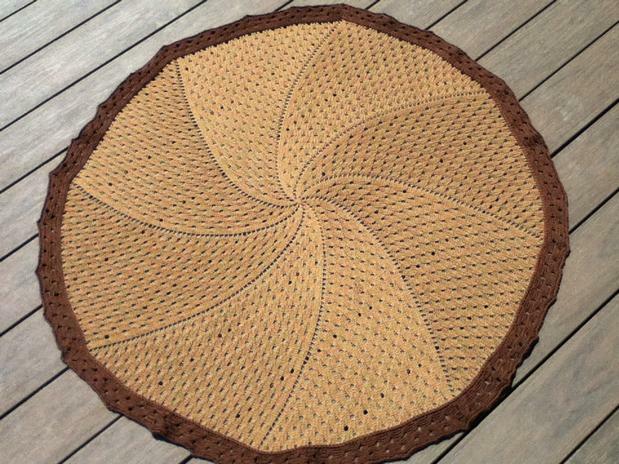 There are eight increases every other round, producing an interesting spiral effect. 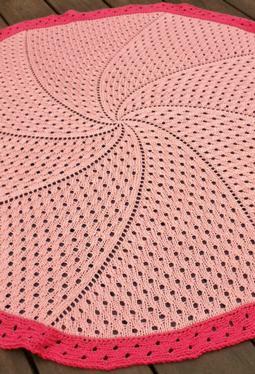 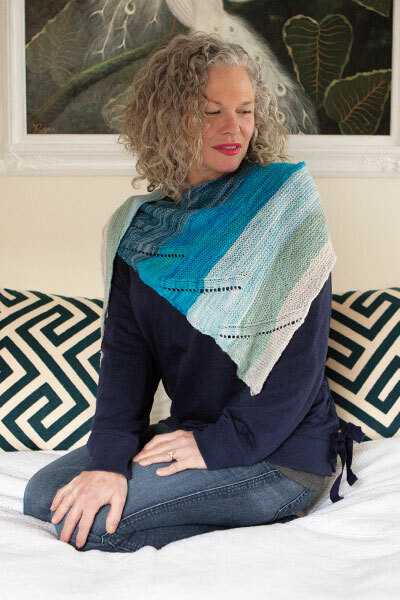 And with the techniques used, the cast-on is only eight stitches, and there's no endless binding-off, just grafting the beginning and end of the border together.